Have you ever wondered what comes up when you type your name into Google images? I’ve always worried that my name would be linked to some strange person or thing that would make me a laughing matter amongst my friends. I know it’s strange but because of it, every so often, I’d check my name just in case. Thankfully, to this day, although my name doesn’t associate with myself, it doesn’t really come up with anything strange either. “What do you think of when you hear the name Hendricks?” I asked Yuye. “Hendrick’s Gin of course, what else?” Yuye replied. That’s what I thought too but it’s not what Google thinks. When I typed Hendricks into Google images, all Google seemed to know was big busted and beautiful Cristina Hendricks. Thinking that if I added Mr to the front of it, some handsome guy would come up, but thankfully, it was actually Mr. Hendricks Cafe! It’s good to know Google is doing its job. 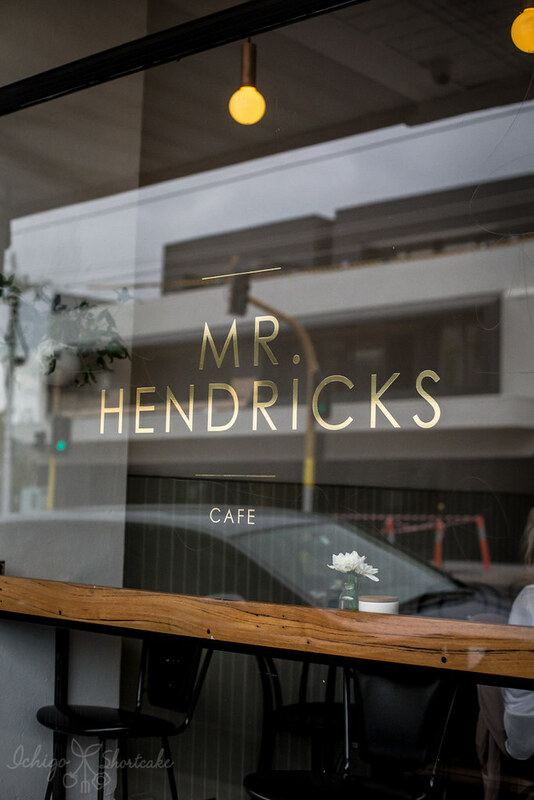 Mr. Hendricks is a cafe in the Eastern suburbs. 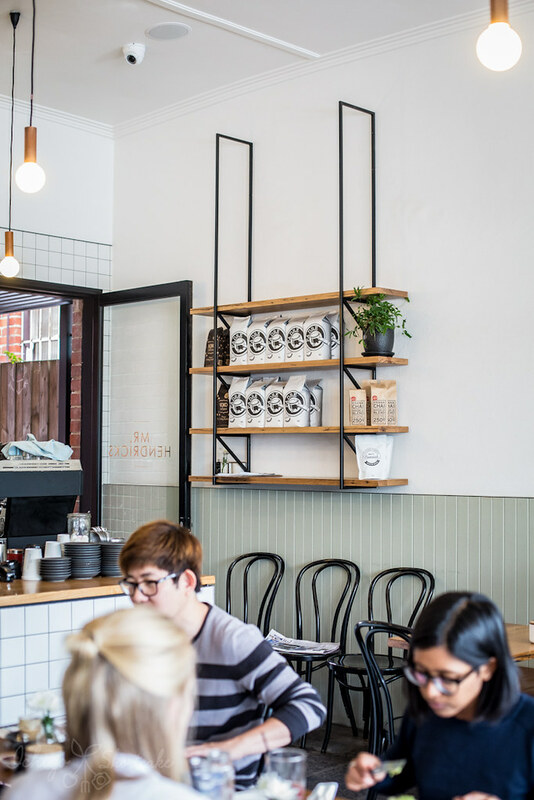 There might be a lot of awesome cafes in and around the city but out in the suburbs, a good one is hard to come by. There is always Snow Pony, but other than that I didn’t know many others. 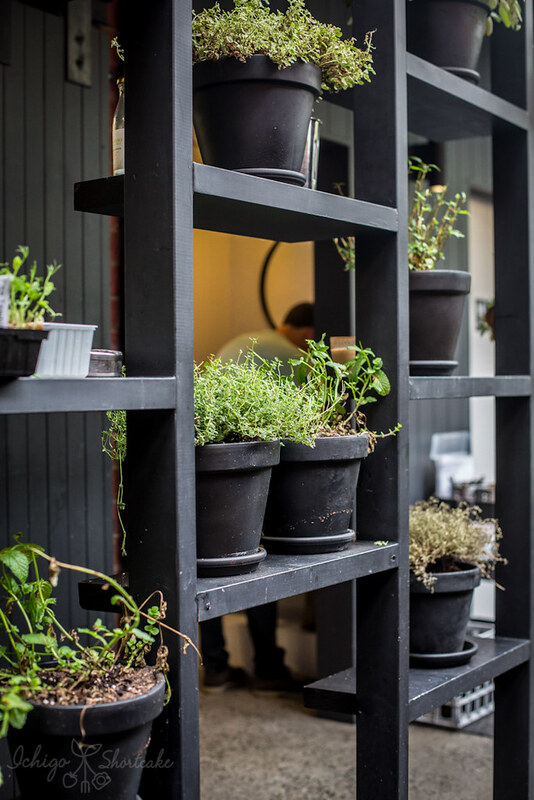 When I came across Mr. Hendricks on Urbanspoon, I immediately decided to give it a go, any good cafe is a good find where we are. Luckily, it was what we expected. From the front, the place didn’t look all that full or big so I wasn’t sure what to expect, but after seeing the back courtyard, I instantly let out a sigh. It was so full and I loved the atmosphere. People were enjoying themselves chatting to friends while platefuls of delicious looking food were being brought out. I became very hungry. What caught my eye was the crispy eggs with sweet potato puree, ham hock, salad of fennel, raddish, red onion and candied walnuts ($19). 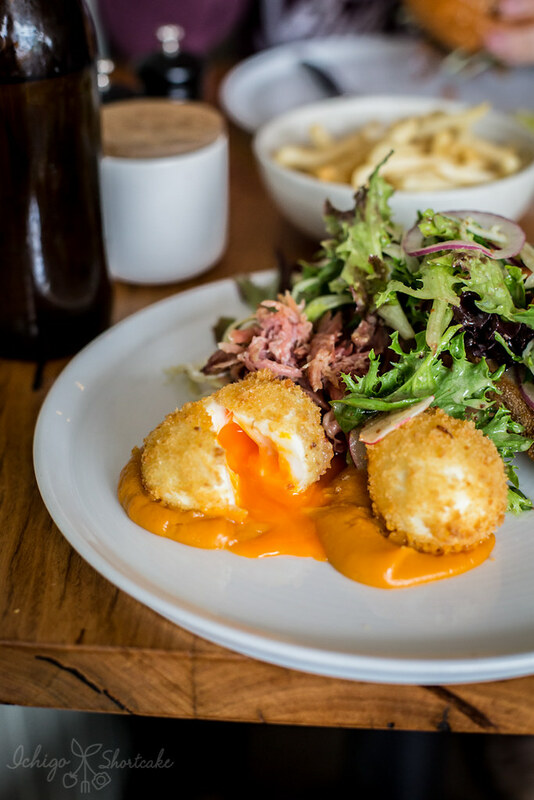 What came was two golden crispy eggs with perfectly runny yolks, a huge pile of salad and a balanced flavour. Yuye ordered the tempura soft shell crab burger ($17) with wombok salad, coriander and lime aoili ($17) with added rosemary fries ($3.50). 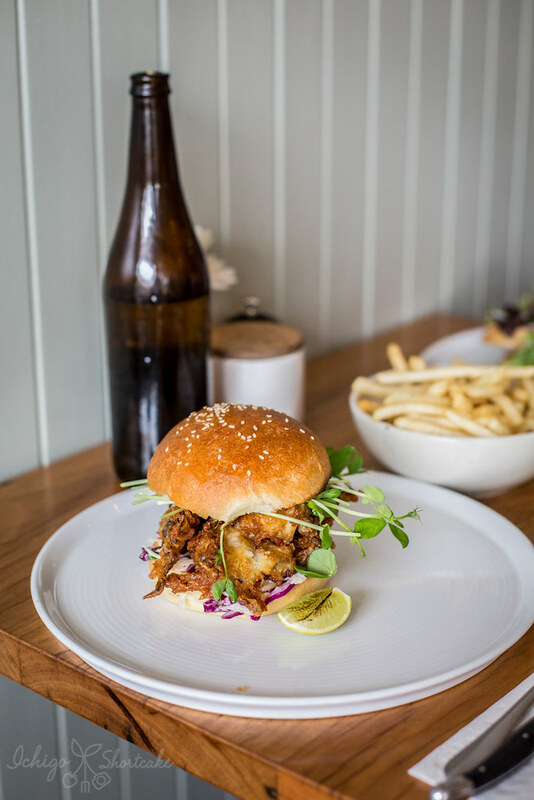 The brioche bun was soft and tasty and went well with the crispy soft shell crab. I’ve never had a bad soft shell crab dish, and this one was no exception. The fries were tasty and well seasoned with a light rosemary flavour, although it wasn’t all that necessary since it was enough food. The coffee here is from Padre which is one of my favourite coffee roasters. 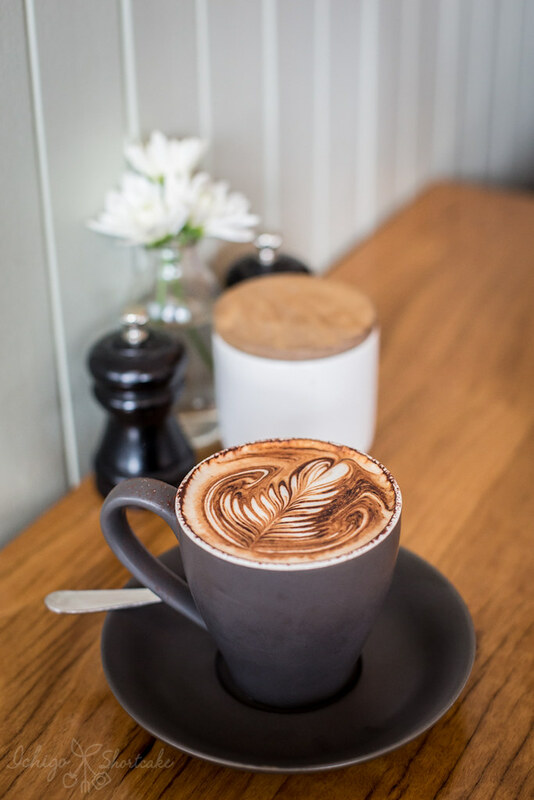 It’s no wonder the coffees here are smooth and aromatic and I love the art as well. We had a good experience at Mr. Hendricks. 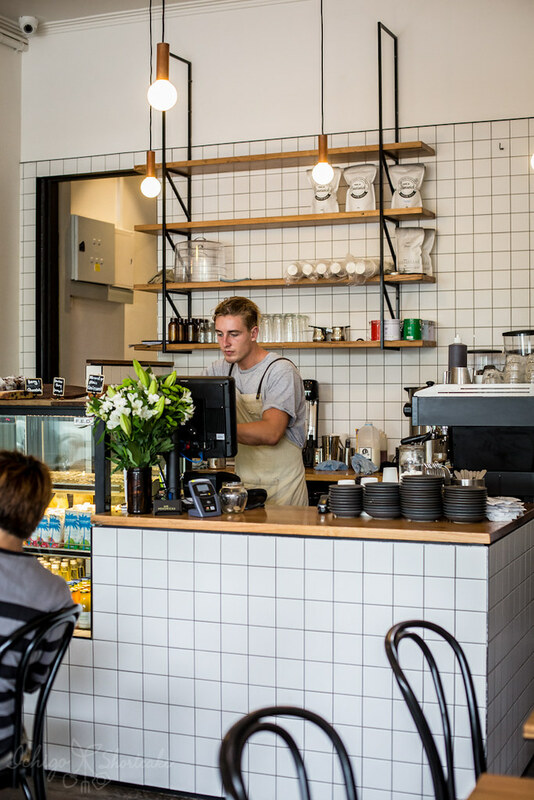 The coffee was great, the food very tasty and reasonably priced and the decor was comfortable. 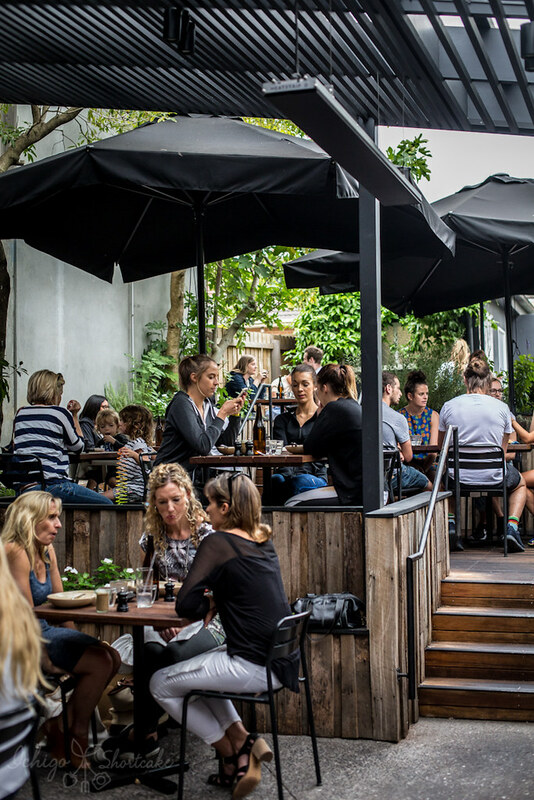 It’s a great addition to suburbia and good to know that there is the option of coming here rather than traveling to inner city. 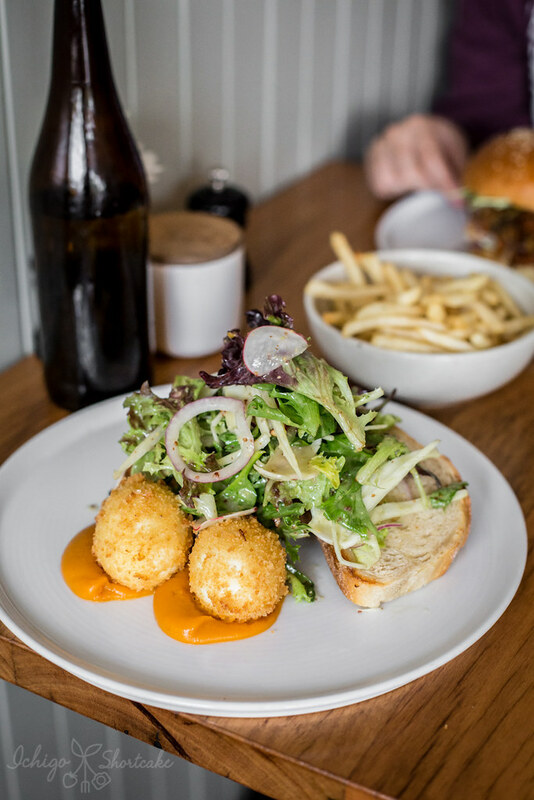 I covet those crispy eggs and candied walnuts – yum!